I have to chuckle when I hear people complaining about how early retailers begin their merchandising efforts for Christmas. In the crazy, rush, rush world we live in, it isn’t unusual to begin seeing signs of Christmas in stores as early as August or September. What used to be the full fledged onslaught of Christmas ads beginning on the day after Thanksgiving, now begins with Pre-Thanksgiving and Early Bird Pre-Thanksgiving advertising efforts during the first week of November. My professional career has been retail management for over 35 years, and even I am astounded and bothered by the extreme nature of Christmas commercialization. As a hunky growing up in Duquesne, the timeline for the holidays was very different. Usually, the tree rarely was put up any earlier than the week before Christmas. People today would freak if they have to worry about decorating a tree only one week before Christmas. 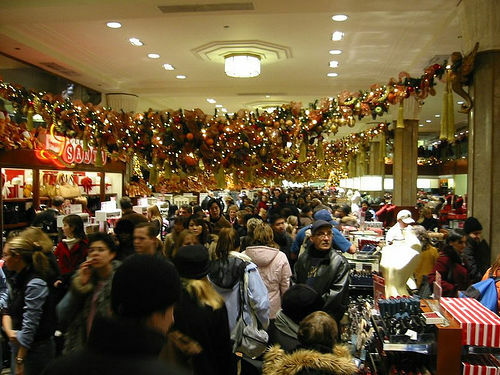 Today, that week prior to Christmas is when most people have made the mall their second home as they frantically try to finish their shopping. Then there’s the baking, the wrapping, etc. to deal with. The irony of all of this angst, chaos and preparatory hubbub is that most people are so tired of it all by Christmas, that they are ready to take it all down and get back to normalcy within a few days of the 25th. This was definitely not the case in my life as a child in Duquesne. My Hunky family always observed the observed the Epiphany on January 6th. This feast commemorates the manifestation of Christ to the gentiles in the persons of the Magi. 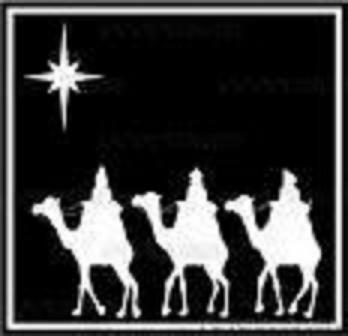 In other words, this is the day that the three Wise Men from the East, arrived in Bethlehem to adore the newly born King. This meant that our tree NEVER was taken down prior to the 6th of January. It further meant that for the 12 days following Christmas, the visiting, food and partying never stopped. As a kid, often times, we had the thrill of receiving additional presents as we visited each relative’s home during this time. We were living examples of “The 12 Days of Christmas,” and didn’t even realize it. 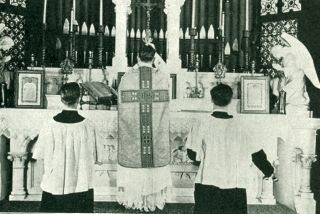 Our Christmas festivities began immediately after Midnight Mass on Christmas Eve. My mom and dad, my brother and I would always go to my Grandpa’s house after mass. Since not all of my dad’s family belonged to the same parish, family began arriving at Grandpa’s at different times, but never before 1:30 a.m. It was usually well past 2 a.m. before the six local brothers and sisters arrived with their families. By the time everyone arrived, the same 25 people who had dined together earlier that evening were back together and ready to celebrate. Duquesne’s favorite beverage, a.k.a. a shot and a beer, surfaced and lots of food made its way to the table for some casual noshing! I never understood what occurred next. For some reason, everyone except my family, began exchanging gifts and opening presents!! What was that!?! Santa visited on Christmas Eve after we were in bed. How could they begin opening gifts before that visit happened? Christmas morning was when it was supposed to occur. My brother and I would sit stoically and watch as my dozen or so cousins unwrapped their presents from Grandpa and began playing with them. 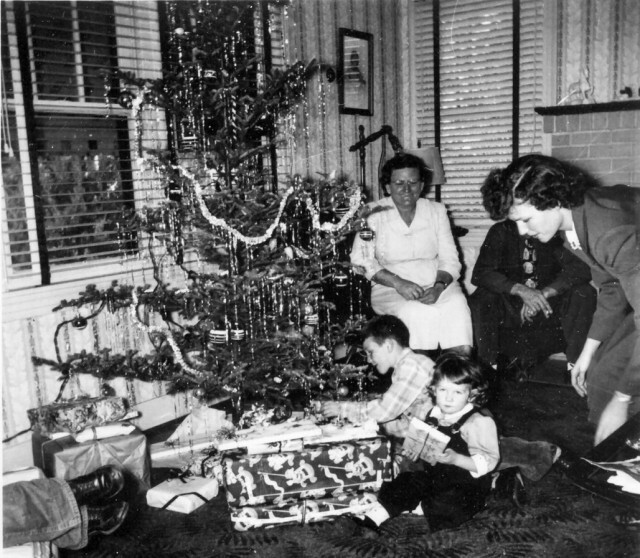 We had been told by our parents that our family liked to wait until Christmas Day to open gifts and exchange gifts with one another. If nothing else, it made the old adage “Patience is a virtue and a little will not hurt you” very relevant. Of course, my brother and I favored the old adage “Gotcha back!” when we were able to open presents the next day while my cousins had to sit back and watch as we gleefully opened our presents from Grandpa on Christmas while they sat with yesterday’s toys. The most exciting part of the events of Christmas Eve and Christmas Day was that it was only the beginning!!! This entry was posted in Christmas Memories, My Hunky Family, Parents. Bookmark the permalink.